Treat yourself with a vacation on an agroecological farm. 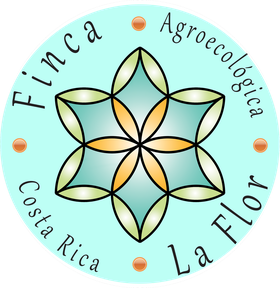 Relax, enjoy and learn on Finca La Flor. Enjoy the quiet life of La Flor village, soak up the beautiful panoramic view of the Orosi valley and discover our delicious vegetarian meals. We provide a unique opportunity to experience life in a community which strives to be regenerative and practices permaculture. We have a variety of cabins and houses for families, friends, couples, individuals with private and shared options that you can check here. We can host groups up to 40 people for a range of activities including volunteering, language and environmental education, events and more, please feel free to ask. There is a lot to explore on our farm with many recreational and cultural excursions nearby. We invite you to check the activities we can offer you.